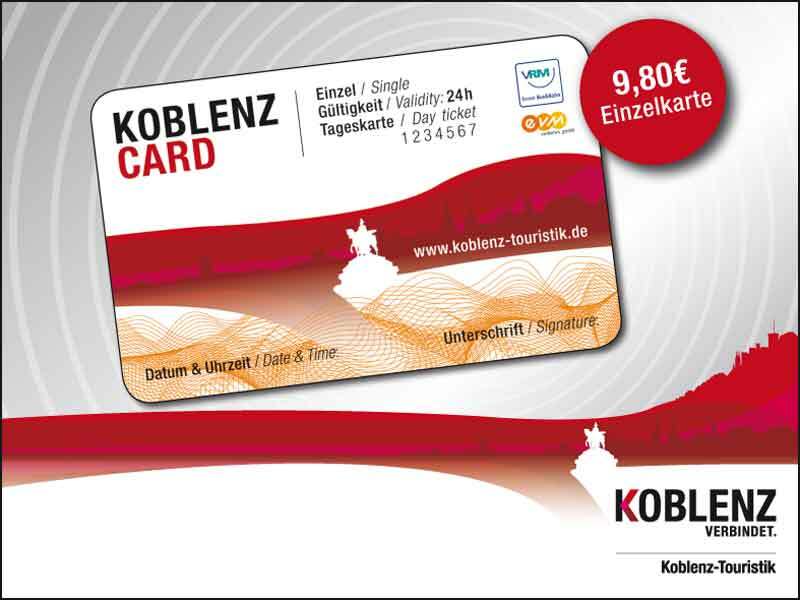 Take advantage of the benefits of the KoblenzCard - discover Koblenz the most cost-effective and convenient way! Be sure to get the KoblenzCard with attractive benefits! You will receive the card in the Tourist Information at the price of €9.80.